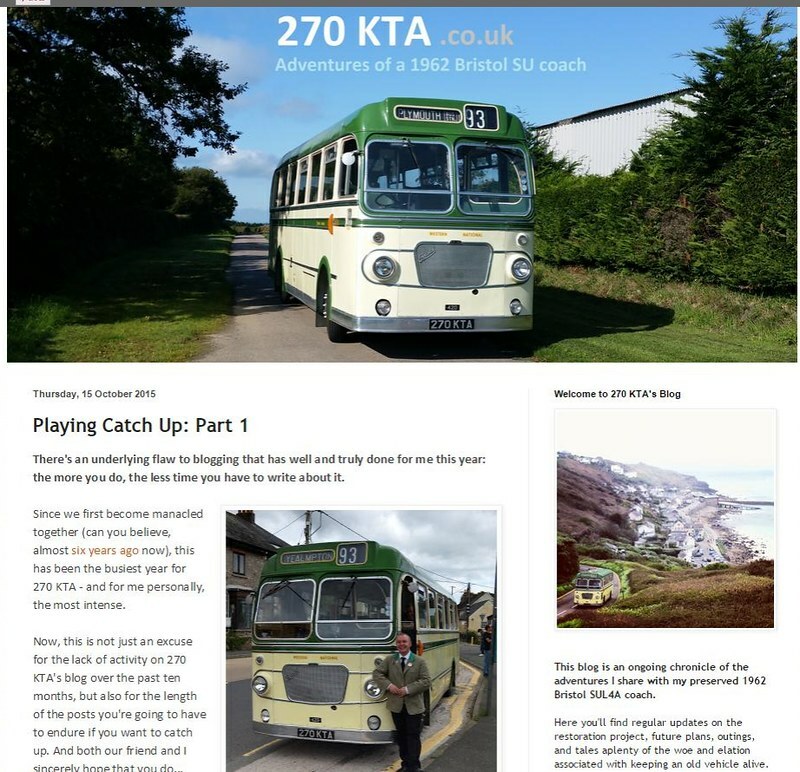 David Sheppards 270KTA blog has had an update, and there are more promised as he brings up up to date with her antics over the last year. Its funny, just the other day someone was one Facebook saying how pleased they were that their photo was on Plymothian Transit. I still feel exactly the same way when I see mine used by other people on their sites! I recommend his blog if you are even thinking about owning and restoring a bus. It will certainly open your eyes as to some of the work involved. He is doing a great job on 270KTA as can be seen on several older posts on Plymothian Transit over the years. Back in 1978 on Holiday in Ilfracombe 280KTA and 281KTA were working there Final Summer 🎆,remember coming back from Woolacombe to Ilfracombe and also Lee Bay to Ilfracombe on each of these,Returned in 1979 They had both gone,one other of The Batch had been sent to Ilfracombe,think it was 276 KTA not 100% sure. Great to see this bus preserved. WN/SN were one of the few Tilling companies to embrace the SU and I enjoyed seeing them imn numbers on holiday in the south west back in the sixties. My home town tilling company, United Counties, went for them aswell but only six in total!